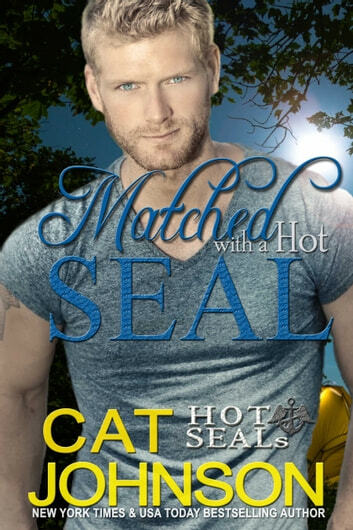 A standalone Hot SEALs romance from NY Times bestselling author Cat Johnson... A Navy SEAL’s life isn’t all deadly missions. Commandos need love too. But when Naval Special Warfare computer guru Will Weber puts the fate of his love life in the combined hands of a dating app and his teammates, he thought he'd learn what real terror feels like. He was wrong. That happened when his ex's sister walked into his life . . . and his heart . . . then walks right back out again. Don't miss the next high action-adventure Navy SEAL romance in the USA Today bestselling Hot SEALs military romance collection featuring red hot reads about men in uniform...and men out of uniform and the women adventurous enough to love them. 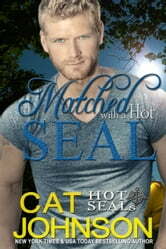 Catch up with all the Hot SEALs! Night with a SEAL, Saved by a SEAL, SEALed at Midnight, Kissed by a SEAL, Protected by a SEAL, Loved by a SEAL, Tempted by a SEAL, Wed to a SEAL, Romanced by a SEAL, Rescued by a Hot SEAL, Betting on a Hot SEAL, Escape with a Hot SEAL, Matched with a Hot SEAL, SEAL the Deal.